Courtesy of Jonas Gregorio de Souza/ University of ExeterAn aerial photo of an earthwork mound constructed over 500 years ago in the Amazon. The researchers say the region could have supported an interconnected civilisation of up to a million people between the years 1250 and 1500. 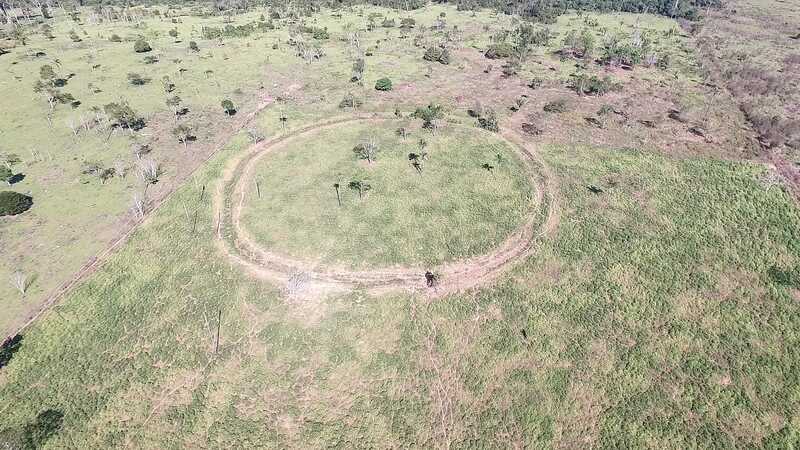 Deep in the Amazon rainforest, archaeologists found something astonishing: 81 never-before-seen earthworks, which may have supported a complex civilisation containing a population of up to a million people. Like recent Maya finds in Guatemala’s steamy tropical jungle, the settlements were first discovered using satellite imagery, and lidar – a type of radar mounted on low-flying aircraft. Once the sites were spotted, the team verified the findings the old-fashioned way: With boots on the ground. 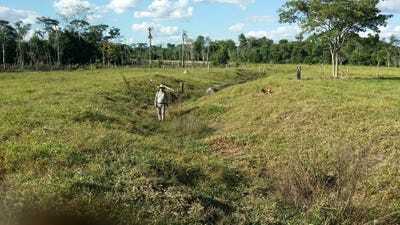 In the 24 sites the researchers excavated in Brazil’s Mato Grasso region – the southern edge of the Amazon where the rainforest gives way to drier savannah – they found evidence of a complicated series of interconnected road networks, farms, and large, fortified villages built on mounds containing defensive ditches, causeways, and plazas. 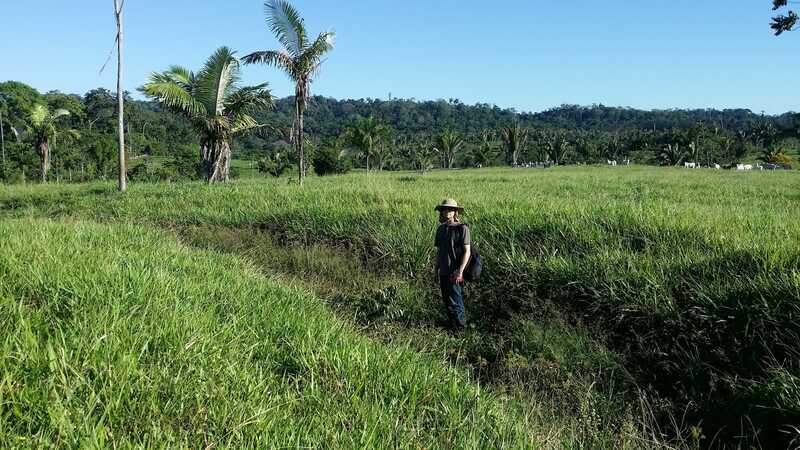 Courtesy of Jonas Gregorio de Souza/University of ExeterA field archaeologist stands in a large ditch that may have been part of a village’s fortifications hundreds of years ago. The findings subvert the narrative, born during a time when archaeology and anthropology were narrowly focused on Western modes of thought, that complex civilisation couldn’t have arisen in tropical regions. 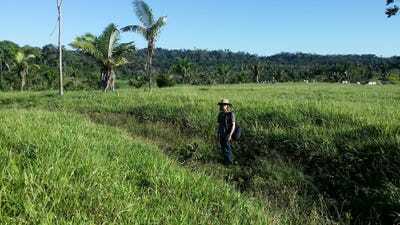 Courtesy of Jonas Gregorio de Souza/University of ExeterA field archaeologist stands in yet another earthwork identified by the researchers. While excavating the sites, the researchers found decorated ceramics and bands of dark, nutrient-rich soil – signs that the area was used for intensive farming.